In the realm of fancy, fashionable sweet treats, the macaron reigns supreme. Light and delicious while also always photo-worthy, macarons are never a bad choice. I previously wrote about the best convenience store macarons but this ice cream variety may take the crown. They don't look particularly impressive, as the packaging is the standard 7-Eleven generic look. Priced at 248 yen (before tax), I consider them pretty average in terms of convenience store snackage. In fact, I would've completely looked over them if not for a visiting friend who greatly enjoys pistachio. 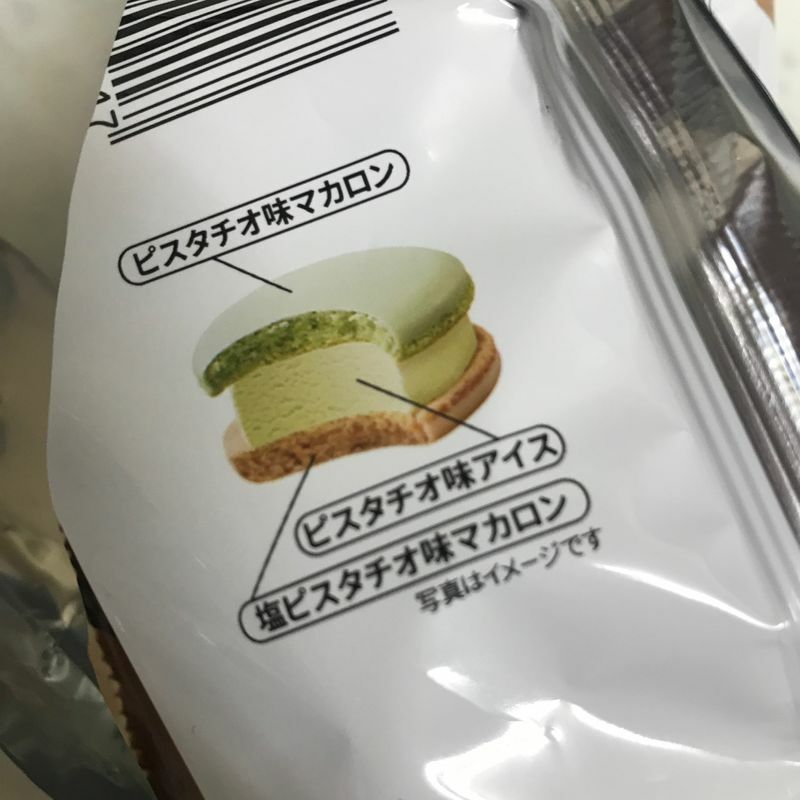 According to the packaging, there are different flavor components that make up this ice cream macaron. The pistachio comes from both the pistachio-flavored macaron on the top as well as the pistachio-flavored ice cream. 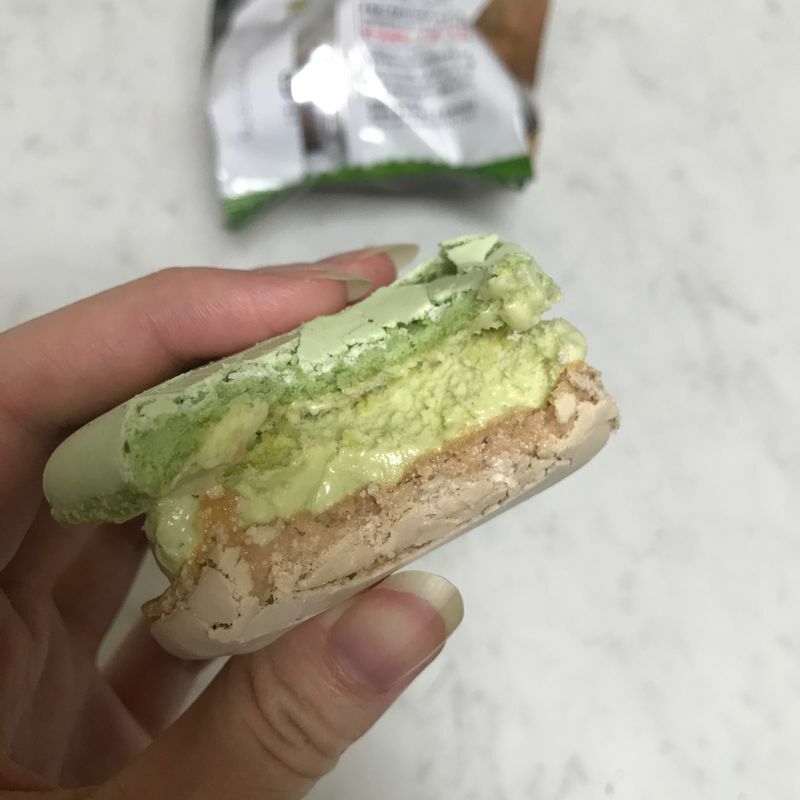 The surprise is the salty pistachio macaron on the bottom. From the descriptions, it's easy to tell which layer is which. The whole thing (especially the perfectly smooth scoop of ice cream sandwiched in the middle) looks a bit too overproduced for my liking, but I bite in anyway. I was expecting (and honestly, dreading) a strong pistachio flavor. Thankfully, I was met with a light pistachio flavor that melded well with the creaminess of the ice cream. But the flavor wasn't the best thing about it. Actually, the texture and consistency of everything was the standout. The first bite was so chewy, with the macarons dissolving with the ice cream on my tongue. The bit of crunch of the macaron shell as I continued to eat added another layer of texture that I wasn't expecting. 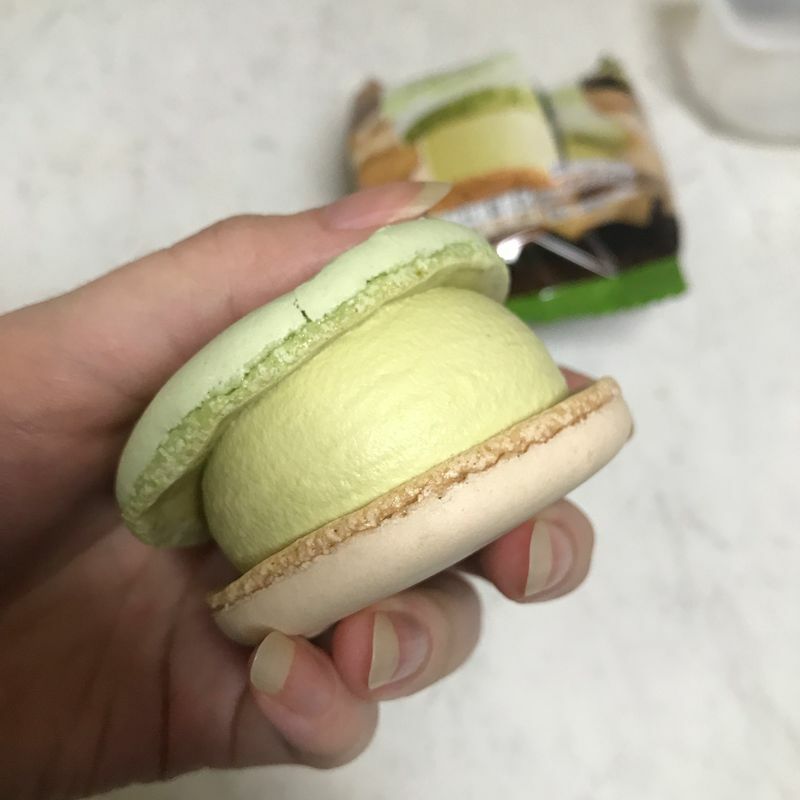 If you're looking for a refreshing convenience store treat, look no further than the pistachio ice cream macaron from 7-Eleven. Among the fierce competition when it comes to convenience store treats, this is truly a standout.